Implement NiceScroll in your web applications! Normally, a web designer can grasp scrolling effects and the scrollbar looks between Google Chrome and Mozilla Firefox. First difference anyone might quickly grasp would be the scrolling effect, that smooth scrolling effect of Mozilla. If you have yet to experience the smooth scroll, follow this path in Mozilla .. Similar yet customizable feature can be added in any web application making it scroll friendly. I used NiceScroll to achieve this in my current blog powered by Ghost. This current one isn’t the default scroll as I played with NiceScroll’s settings a little. Installation is too easy, either follow the guide provided by NiceScroll itself or follow my lead. Download the release package of your choice, v3.4.0 for me. Append and add jquery.nicescroll.min.js at the end of the default.hbs file and in the directory ./public_html/content/themes/<theme-name>/assets/js/. There are various ways to initialize NiceScroll but the way I did was create a loader file which loads all the initialized jQuery libraries from one single file. If you do not want to bother creating a file, you may append the default.hbs file inside your theme directory and append this code at the bottom of the file. Restart or stop-start your Ghost platform or simply refresh for regular web applications to take effect. 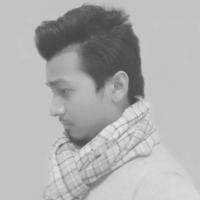 Tiny jQuery script to handle your links!